Big Lake City Council gave the final approval on Wednesday, September 12th, for Lupulin Brewing Company to expand its production brewing operations by passing unanimously the Conditional Use Permit (CUP), variance and site plan for the project. “It’s great for this day to finally come as our team has been working hard on this long-term project since June, 2017. We are all excited to get the new 30 bbl brewery operational at the start of 2019”, says Jeff Zierdt, President & Co-Founder. The first step for this expansion project was to secure the building space for Lupulin’s continued growth within a contiguous building. This was accomplished in October, 2017 when Jeff Zierdt & Matt Schiller, Co-Founders of Lupulin Brewing, purchased the 22,500 sq. foot steel framed building that made up almost 50% of the Northstar Place complex in Big Lake, MN. Financing partnerships with Pioneer Bank, Initiative Foundation, and Sherburne County were crucial for the building purchase. These partnerships were coordinated and administered by Decklan Group, who also coordinated obtaining tax incentives from both the City of Big Lake and Sherburne County to support the expansion. Simultaneously with the building purchase, Lupulin Brewing was working with Live Oak Bank to secure its financing for the expansion project. 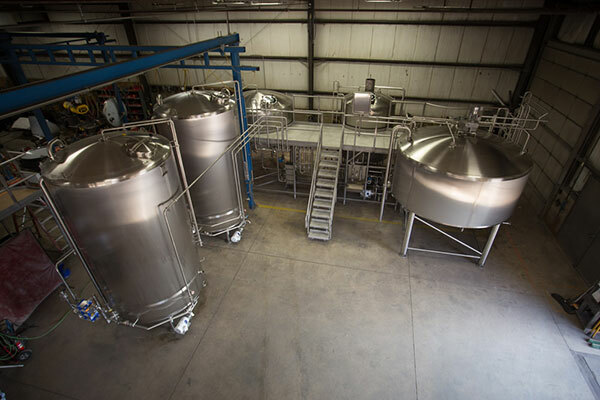 In June, 2018, the financing was secured and the new 30 bbl brewhouse was ordered from Sprinkman Brewing out of Waukesha, Wisconsin. “After almost 3 years of brewing on our 2-vessel, 10 bbl brewhouse, we knew that we wanted to go with a state of the art, well engineered system that was manufactured in the United States” stated Matt Schiller, Brewmaster & Co-Founder. Key equipment, outside the new brewhouse, included as part of this phase of expansion is an entire grain handling system, which includes a bulk grain silo from RMS, a new boiler from Allied Boiler, new Chiller from JC Younger, (4) – 60 bbl Fermenters, (1)-120 bbl Brite Tank from Deutsche Beverage Technology, and a 1,200 sf walk-in cooler from Barr Refrigeration. Because of Lupulin Brewing’s passion of supporting local businesses, they were approved for a value add grant from the Minnesota Department of Agriculture, also coordinated by Decklan Group. Currently over 90% of ingredients used in brewing their beers are procured through Minnesota based companies. Lupulin Brewing continues to work with Boser Construction for the design build and General Contractor of this expansion. The project is being managed and lead by Dustin Vaverek, Co-Owner of Boser Construction, who was also the project manager for the original brewery and taproom installation. Lastly, Lupulin Brewing has a tremendous economic impact on the community. Employees are anticipated to double within two years of completing the project. The company currently employs 14 full-time and 34 part-time employees. It is anticipated that over 30 full-time and 50 part–time employees will be employed by January, 2021, says Abby Zierdt, Human Resources Manager.